A review of the Western United Health Assurance Insurance Company finds the Western United Life Assurance Company of Spokane, Washington. The company deals mainly in annuities, and not standard life insurance products such as term and permanent life insurance policies. Western United Life Assurance Company does not sell health insurance coverage. Instead, if you need health insurance, your best bet is to enter your zip code into the free toolbox above and then look through the health insurance quotes from top providers in the nation. In terms of the industry, Western United is a relatively small financial products company. It maintains $30 million in assets, and it’s small enough to fit most of its employees into one photo on its website. The Company has roughly 40 employees and a leadership team of nine people. Its products are sold through a network of independent agents and agencies. The company sells two types of annuities: fixed and immediate. According to the U.S. Securities and Exchange Commission’s description of annuities, they are financial vehicles that help save for retirement or other long-range goals. Similar to permanent life insurance policies, annuities may include a death benefit that pays a specific amount. However, unlike life insurance premiums and plans, annuities have tax-deferred growth. A fixed annuity is fixed in two ways. The first is that, while your account is growing, the insurance company promises to pay a fixed amount of interest or higher. Secondly, the periodic benefits paid out of the annuity will be a pre-specified, fixed dollar amount. These payments can last for a specific term, or for the rest of your life. Variable annuities allow you to invest your purchase payments, which may give you a higher or lower rate of return (just as any type of investment in stocks, bonds, mutual funds, etc.). The SEC regulates variable annuities. According to Western United’s website, some of the reasons people choose to purchase annuities are their tax-deferred status, their flexibility, and their relative safety as an investment. Most annuities are guaranteed a minimum interest rate and the return of principal. In addition, depending on the annuity you choose, you may be able to decide on how you’re paid–as one lump sum payment or a series of payments on a designated date–as well as how you want to pay. To find out more about annuities and specifically those offered by Western United Life Assurance Company, please contact a company sales representative directly, at 1-800-247-2045. Western United’s website has no “Careers” tab and there is nothing on the website that gives instructions on how to apply for a job with the company. If you are interested in working with the company as an agent or working at the corporate location, your best bet is to call the company directly at one of the numbers mentioned above. Western United went through a period of receivership and rehabilitation from 2004-2008, after its then-parent company, Metropolitan Mortgage and Securities, Inc., declared bankruptcy. In 2008, it was sold to Global Life Holdings, LLC, for $52.5 million. 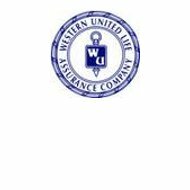 There’s not much information on ratings for Western United Life Assurance Company, since it’s really just getting its footing back. For instance, it has no rating with A.M. Best Company, even for issuer credit. However, BrightScope has given its retirement savings plan a mid-range rating of 68, which is a little below the average rating in its peer group of similar financial offerings. Western United Life Assurance Company does have a grade of “A+” from the Better Business Bureau, although the company never applied for BBB accreditation. Western United has had a file with the BBB for twenty years, and earned the “A+” for the length of time the company has been in business, as well as the fact that it’s had no complaints filed against it with the BBB in at least the last three years. While annuities may protect your investments and your finances, they will not protect your health. Get health insurance quotes now by typing your zip code into the box below!